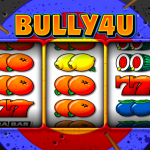 Bully4U is an archery themed video slot game from Realistic Gaming. This is a very simple game that takes us back in times where all that was important were the symbols and how they lined up. The design of the game is very simple but realistic. It reminds us of the old time slot machines and for a moment it transports us to a land base casino somewhere in Las Vegas or Monte Carlo. There are no special symbols in Bully4U like scatters or wilds but that is okay, since we are here for the game itself. There is one small extra feature that can improve your balance in no time though. The Full House Bonus occurs every time you land a symbol on the center reel, and when that symbol is surrounded by eight matching symbols. All those symbols will transform into the symbol that is in the center and you will receive a payout accordingly. There are lots of things that we appreciate in Bully4U, and we believe that Realistic Gaming did an amazing job when they created the game. You do not have to be into archery to enjoy this slot, you just have to be into big wins. The best part of Bully4U is the simplicity it offers. There are plenty games that have top notch designs and inspiring special features but still do not live up to the standard. Here we have a simple design and an entertaining and straightforward game play. There is only one kind of a special feature that actually occurs quite often and can bring some good prizes your way. We believe that this is one of those games that are worth the try, and if you still have not had the chance to play it you definitely should. 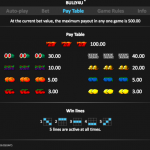 For another great engaging game you should consider playing Big Wheel a 3 reel slot by Realistic Games.